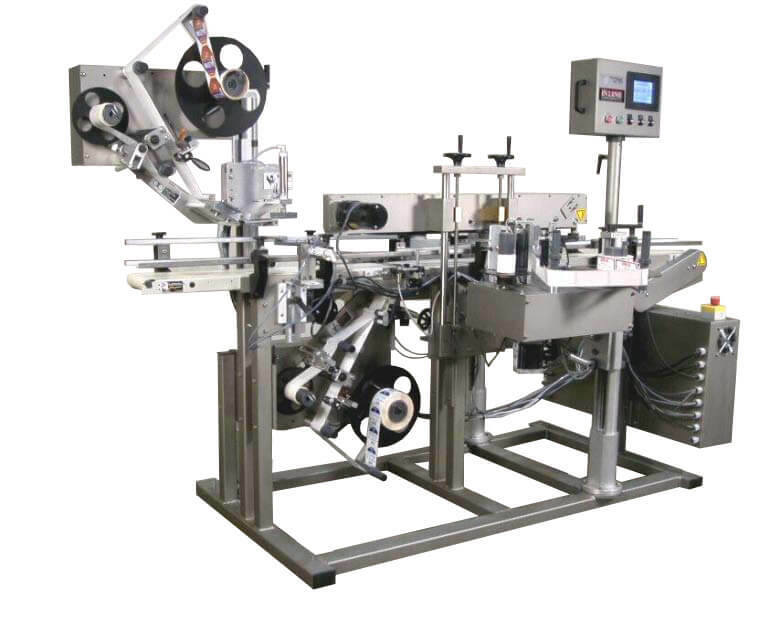 Model 1200SP Labeler | InLine Packaging Systems, Inc. The Model 1200SP is a fully automatic and self-contained labeler designed to apply one or two body labels to round containers. Note that for two label applications (front and back) the labels must be alternating from the same web. This machine also is capable of applying a neck label. It precisely controls web feed and placement by utilizing Spin-in-Place labeling techniques in addition to a stepper labeling drive. Spin-in-Place means that the label starting point is referenced from the wall of the container instead of the base, which is generally a better reference point. Gripper plates are designed to the bottle diameter for increased accuracy. This machine excels in label placement accuracy. (Page copy) Your label says everything about your product. You’ve invested time and resources in designing a label that will convince customers to choose your beverage. Now, invest in the right machine for labeling. With accuracy, precision, and efficiency, our Model 1200SP Labeler will get the job done quickly and correctly. Get back to making your product and growing your business. We’ll take care of the bottling, labeling, and packaging for you. Since 1994, In-Line has been assembling and designing machines. We started patenting our own systems and since then, we’ve built over 1,000! We are passionate problem solvers. We enjoy taking on efficiency and process issues and creating systems that run seamlessly. Our labeling, filling, bottling, and packaging solutions will meet your needs. Give us a call today and we will get you set up with a custom solution for your business! We have everything you need to support your brewery, distillery, and food packaging needs. 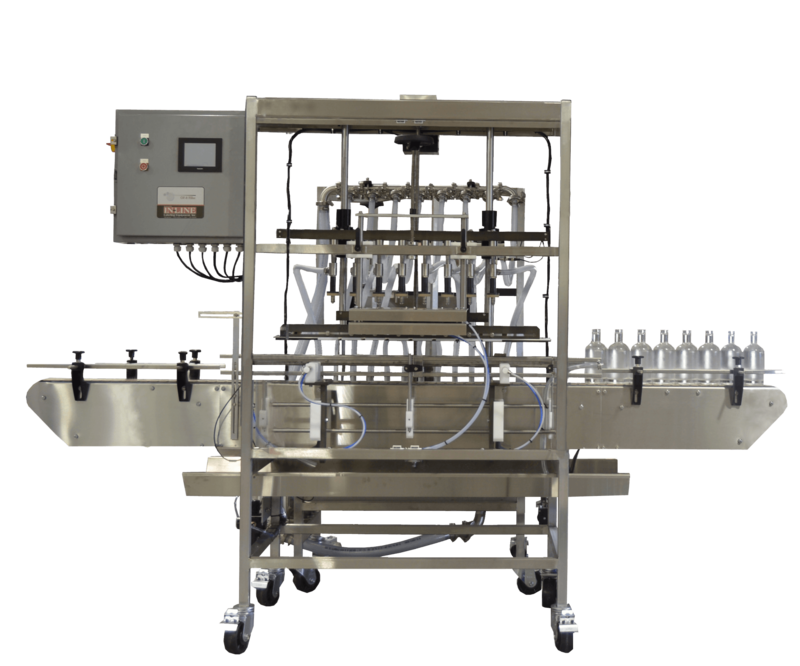 Labeling, fillers, conveyance equipment to custom machines, we have it all. Plus, we bring over 20 years of experience and a passion for seamless design and processes to every project. Contact us today for the In-Line experience. © 2018 In-Line Packaging Systems - All rights reserved. Site Designed by Stingray Branding - Charleston Web Design.